If you are involved in sports and athletics, it won’t be long before you suffer a sports injury of some type. While some parents and coaches are alarmed and shocked when little Johnny comes home with a bruised ankle, it’s not too uncommon and should be expected. How you treat sports injuries and how you medicate them is among the most important components of athletics. Note: This is not to be misconstrued as medical advice. Always be cautious when reading medical information on the internet. So many coaches, team physicians, and parents don’t know what medications to give for pain relief. 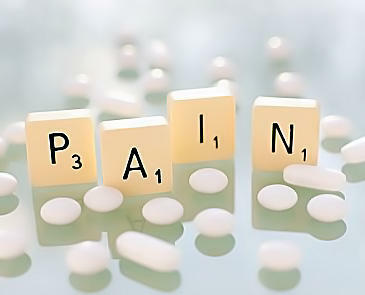 Pain relief is an essential part of the healing process. Pain relief is not just to reduce pain, but plays a crucial role in the healing and repair process. During an injury, lots of inflammatory factors are released and they are part of the body’s response to healing. When you twist your ankle or tear or over stretch your ligaments, your body’s response is to attempt to healing by releasing inflammatory factors that increase blood circulation to the area to help solve the problem. These factors not only increase circulation, but they also cause swelling and pain. This is all a part of the inflammatory response. The breakdown products of the inflammatory response also help increase swelling and sensitivity to pain. So what can you do for sports injuries? Whether it’s a simple ankle sprain or a more complicated torn hamstring, the RICE protocol is the best starting point; Rest, Ice, Compression, and Elevation. Never use ice for too long. Always alternate 15 minutes on and 15 minutes off. I have seen an ankle take 6 months longer to heal because the kid froze the tissue in his ankle by using ice all day and all night for 24 hours. The extreme cold froze the tissue, thereby killing it. It was painful and tragic. When should you use warmth and heat? Ice is used to reduce and slow the inflammatory process down. Ice is also a great pain reliever. The job of ice is to quiet down the area of inflammation, provide pain relief and help the healing begin. Ice is almost useless after the first 24-48 hours, by then the signals and process will have set in place. Now is when you introduce heat. Heat is great for spasming muscles, the eventual healing process, and as a muscle relaxant. If you pull a muscle in your back or leg, heat is a great way to relax your muscles. Heat also helps increase circulation to the area. So if you tear a hamstring, applying ice will stop the pain for the first day, but then heat will increase circulation later on to help “clean out” the damaged tissue. What pain medications can I use? There are three classes of pain medications available to most parents and coaches. 1.Tylenol- a great fever reducer and pain reliever. 2.Asprin- a great fever reducer, pain reliever, and anti-inflammatory. Do not use in children under 18 years of age. 3.NSAIDs- these are Non-Steroidal Anti-Inflammatory Drugs. Some of these can be bought over the counter like ibuprofen (Advil and Motrin) or naproxen (Aleve). Also there are some that are by prescription only like ketorlac (Toradol), or etodolac (Lodine). These are great anti-inflammatory drugs, great for pain relief, and can even reduce fevers (depending on what is causing it). Another prescription NSAID is celecoxib (Celebrex), but it is in a class of its own. When the injury first occurs, you want to follow the RICE protocol and immediately start taking an NSAID. You can usually double the dose that is on the bottle, assuming that you are not allergic or have taken the drug safely before. For ibuprofen (Advil, Motrin) they usually come in 200mg tablets, you can take up 600-800mg at once, which is three of the 200mg tablets. For naproxen (Aleve, Naproxen Sodium), they usually come in 220mg tablets, you can take 2 of these right away for a total of 440mg. Then go to your family physician or team physician right away to see what he says and whether or not he wants you on any other medications. Normally for a sports injury, you would be on these NSAIDs for about 2 weeks. If you have breakthrough pain while on an NSAID, you can take Tylenol. A lot of athletes take two extra strength tylenol to help with breakthrough pain. It is safe as long as you are not allergic, don’t have liver or kidney problems and have taken this medication previously without problems. What about narcotics and muscle relaxants? Another set of medications in your physicians arsenal is the pain relievers and muscle relaxants that are prescription based. There are so many to chose from, but everyone has favorites. When an athlete comes into my office and has “thrown out his back” or “tweaked a hamstring”, or even for a simple ankle sprain, I would immediately start them on Naproxen (an anti-inflammatory), Soma (a muscle relaxant), and Vicodin (a narcotic pain reliever). The instructions are simple; take the anti-inflammatory around the clock every day, take the muscle relaxer every day for the first 5 days, and take the narcotic for breakthrough pain if you need it. Studies have shown that athletes and pediatric patients, rarely become addicted to narcotics. They are very safe and very crucial to the treatment of the injury. Physicians should not be afraid to prescribe narcotic pain relievers to patients that need them. One issue that always arises is the legality of prescription medications. Athletes in college and high school athletics normally follow a more stringent testing process and may not be able to take certain prescription, and even over the counter, medications. Be careful what your athlete takes and make sure it’s not on any local banned substance list. Check with the NCAA and your state high school athletic governing body. 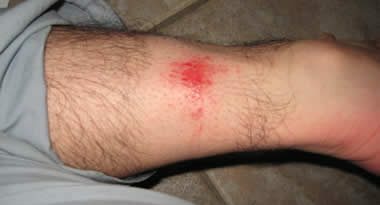 For certain types of sports injuries, like ankle sprains, an anti-inflammatory like etodolac (Lodine) seems to be better than other choices. A lot of physicians are having a lot of success with this anti-inflammatory. The only drawback is that the pills can be rather large, and hence, pediatric patients may have difficulty with them. For sports hernias, naproxen will do the trick if you want to try a conservative approach first. If the pain is not alleviated after a few weeks, then you can go back to your physician to see if surgery is necessary. Remember to always seek medical advice and be under the care of a physician. Many of today’s contracts require that you be under the care of a physician. Further, agents are more likely to label your child or athlete as “coachable” if they see that the athlete regularly goes in for check ups and takes care of his body. This is not to be misconstrued as medical advice. Always be cautious when reading medical information on the internet.